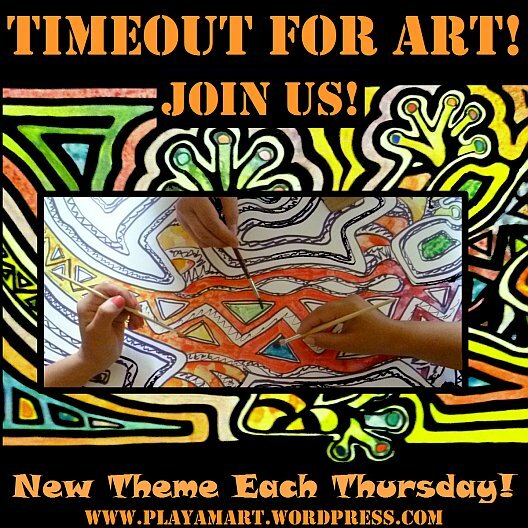 Timeout for Art – For the Birds! A colorful aracari critiques my work! Let’s start with a few birds that highlight every day I am on Jim and Julie’s property! Quetzals often laugh over my shoulder! A male and female quetzal perch on a tall tree on a hill near the house. About a 30-minute drive from Mindo is the hub of “Los Bancos.” I was there last week to pay the car tag fee for Jim and Julie. After an hour’s wait in line at the bank, I was told, “The system is down,” and was dismissed. Patricio, the owner of the Mirador Restaurant and Cabanas, has great hospitality skills and always has time for his guests. Not only is the food exceptional, there are stunning views to the valley below as well as an ever-changing cast of birds that visit the feeders near the tables. (Aracaris) These stars often make an appearance at the Mirador Restaurant. Patricio’s nephew greeted me and said, “I saw you in the bank. That was a long line!” He could not help with suggestions for paying the tag fee, but Patricio came along and assured me that I had all month to pay it. “I’ll try again in another week,” I smiled, then sat at a table near one of the bird feeding stations. How do you like those trousers? Again my jaw dropped while my eyes opened! Eureka – chicken feeders! Bananaquits enjoy this watering hole, too! After enjoying a shrimp crepe (delicious!) and cafe con leche and a small jar of fresh ‘arasha’ juice, I was recharged. Before leaving town, I spotted two policemen in a patrol car. I politely showed them the paperwork, told them what happened, and they also said that I had all month to pay the tag renewal fee. Whew. Meanwhile, back at the property, I’ve enjoyed experimenting with the inexpensive feeders. Here are my last two attempts to make them more attractive. These two are waiting a protective finish, so they can be easily washed. What do you think – do you like the way they turned out? Upgrade from chicken feeders to hummingbird feeders! Yes, there’s another ongoing project (table) as well. Hopefully next week it will be finished! A tour group will be reaching Mindo any minute now, so it’s time to switch hats and share a few stories about my life in Ecuador! I love all the colorful bird photos and what a great idea for hummingbird/chicken feeders, they look great! si.. why buy the expensive feeders ever again? it’s also nice that the birds can perch and drink at the same time, so there’s a greater variety of birds at the feeder throughout the day. yes, and that stop in los bancos is always worth the ‘effort..’ it’s always peaceful, and the food is great, and the birds never get tired of showing up! Beautiful birds! Wonderful what you’ve done to the chicken feeders. Thanks for the bird pictures; they are very pretty. Please keep up your good work. You can not imagine how proud of you, and all that you do to serve God’s people. Please keep up your good work. Helping friends is much more important, so you have your priorities in order. Every time I see photos of riotously colored South American birds I think there must be a conspiracy to create this fiction–so much color couldn’t possibly exist in the real world! ha.. there’s one lovely tanager that has a bright cobalt blue head and almost bue-black body as if a scientist transplanted the head of one bird onto the body of another..
wouldn’t it be fun to work in a workshop where one dreamed up all of the color and pattern combinations of the birds and animals? I am continually amazed by the extraordinary beauty of our winged friends. Brilliant captures..
Hey amiga, how are things on your side of the continent? I miss those late-night swaps when the only time I could work online was when the rest of Ecuador was sleeping! Now there’s no op at the property, but wow, what a gift it is to be immersed in the wildness of the property. one day i’ll be elsewhere and can catch up on all i’ve missed on cyberland! Excellent photos. I am really getting into watching tropical birds. Our mango tree was packed full of green parrots the other day chattering up a storm. I looked and looked for them, but they blended into the mango trees so well it was difficult to see them. As soon as I saw the picture of the bees in the chicken/hummingbird feeder, I knew that idea wouldn’t work for me. oooh, Debbie – to be allergic to bees and have those African ones around is not very comforting! I’ve been stung once by an African-bee, and it not only hurt but also became very hot and inflamed for the next few days… Si, stay away from those bees! When I went to renew my car tags on October 31 (yes, I know — it was the last day and I should have done it earlier) the computer system was down, all over the state. So, I too had to go back, although it was only a couple of hours before things were back to normal, and it wasn’t nearly so much of a trip. On the other hand, I didn’t have a lovely restaurant with beautiful birds to make my wait more enjoyable. The birds are gorgeous, and the chicken waterers is a fantastic idea. No exotics in my neighborhood except for the monk parakeets, but they do lend a bit of a tropical flair. Wow the feeders look great!! I just knew you would never allow those to be just plane ole feeders!!! I was just talking to my sister about all the birds you have around you….either at the Mindo place or in Los Bancos and how fun it was to see all of the wildlife! Hugs to you my friend! Thanks, Barb! I’m glad you’ve been here and know where all of these places are located! I forgot to mention in the blog that the wifi speed there is very good! Love your painted bird feeders! Beautiful. thanks! they work well without the art, but with the ‘bottle brush’ tree flowers, i hope they work even better! How very beautiful and exotic it all is Lisa! All there is for feeding around where I live are grey squirrels, pigeons and a few seagulls. Mind you, if I took my camera down to the river nearby and got wet and freezing for a while, I might get lucky and see the kingfisher, the heron, the gooseander…. Gorgeous photos as ever. I do hope you are feeling better and that your friend in the USA is recovering. hi anne – i’ve been trying to get a page to properly open on your site/sites to leave a comment.. i had just been sharing w/new friends that we – as a species – have sort of traded our connection to the earth in exchange for high tech/lots of concrete/ the ease of travel, etc etc — but at a cost and disconnect from our planet and its needs. sometimes back to the quieter life is much more rewarding. the birds definitely bridge that connection! Many thanks for persevering, , Lisa! What seems to be the problem? Is it my end, or yours? the problem is with this ‘burro’ of a minilaptop computer that carries a heavy load when i tune into the wifi about once a week while in town. it tries to update all programs first, and almost always it will need a restart of two before it behaves…. sometimes emails won’t open or send (and are not saved) ditto for composing new posts and uploading photos or saving the new changes…. i usually load many pages on the screen before logging off, and i read offfline at night… b ut then when i am back in town, the same demons await – updating programs…. i do miss swapping thoughts with you and a few others! I think I would also think that immersion in the beauties of nature was a fair trade-off for dodgy internet connections! And we DO manage to swap thoughts, Lisa. We just have!! How gorgeous are your feeders! The birds will find them irresistible. Great to see your posts again Z – miss seeing them. You seem very relaxed and enjoying Jim and Julie’s property. Beautiful photographs of the birds and I can see that you have a few painted pieces no doubt you’ll be leaving behind when you set off. I would definitely trade cyberconvenience for such beauty!!!!!! Stunning photos – no birds around here that are that gorgeous. Enjoy!